On Arrival At Jammu Airport/Station You Will Meet To Our Representative And Transfer You To Katra, Reach Katra And Join Hotel For Over Night Stay. After Breakfast Trek Up For Spiritual Darshan Of Mata Vaishno Devi, After Complete Performance Of The Darshan, Return To Hotel For Over Night Stay. After Breakfast Leave From Katra And Drive To Srinagar, Reach Srinagar And Join Hotel For Over Night Rest. After Breakfast Leave From Srinagar And Drive Pahalgam (Vale Of Kashmir ). In The Way Visit Saffron Fields And Enroute Avanti Raja’s Ruined Palace. 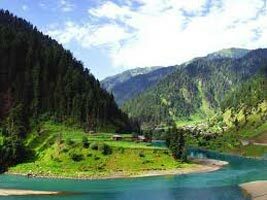 Pahalgam Is The Most Famous Place For Film Industry. Overnight Stay At Hotel. After Breakfast Leave From Pahalgam And Drive To Gulmarg. You Can Enjoy A Pony Ride And Also Enjoy A Gondola Ride (Cable Car) To Khilanmarg. 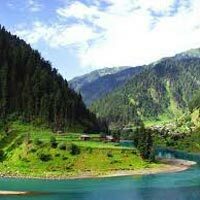 Evening Is Free To Explore The Charm & Beauty Of Gulmarg Valley, Over Night Stay At Hotel.